Australian-born graffiti artist James Cochran, also known as Jimmy C, has painted walls from the Bronx to Berlin and is recognized equally in fine art galleries as graffiti street tours in London. 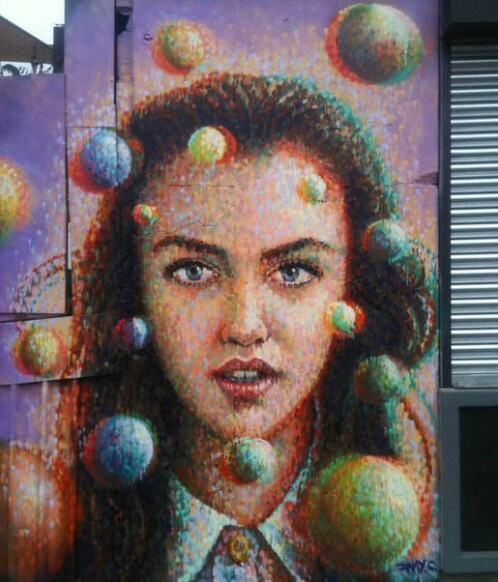 His latest project pushes the boundaries of his pointillist-inspired art style with 3D graffiti techniques. 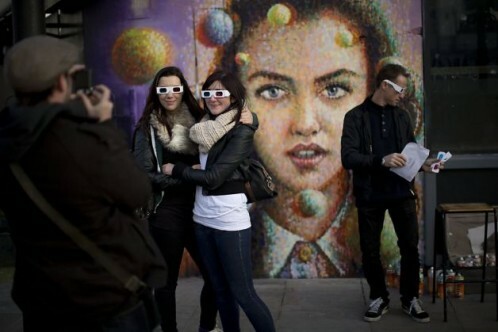 His piece ‘Girl with Spheres in 3D’ can only be seen when the viewer looks through a pair of 3D glasses.